On August 21, 2013, Sean Boushie signed a sworn affidavit before a notary, and he swore that he had never emailed Bill Windsor. The false sworn affidavit was used to get William M. Windsor arrested and jailed for 134 days. NOTE: I seem to have missed a half dozen emails as I typed the list. There are more. By putting each email address and IP address into a spreadsheet, I was able to link IP addresses to multiple email addresses. And when this linking was done, I identified additional email addresses that could be confirmed as linked to Sean Boushie through use of the same IP addresses. 3. 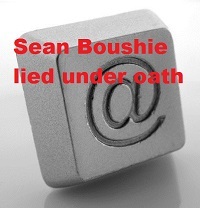 Obtain University of Montana server logs for all emails listed above that were sent during work hours for Sean Boushie. 5. Require Verizon to provide Sean Boushie's telephone and data records. The police love to say that Crystal Cox or Bill Windsor could have sent these emails. Neither of them had a Blackberry. 6. Conduct a forensic examination of Bill Windsor's laptop to confirm that no emails were altered in any manner. 7. Bill Windsor has volunteered to take a polygraph examination. 8. Officer Nick Painter of the University of Montana Police Department told Sean Boushie to stop emailing Bill Windsor on August 21, 2013 at approximately 1:00 pm. Bill Windsor never received another email from Sean Boushie or his many aliases. 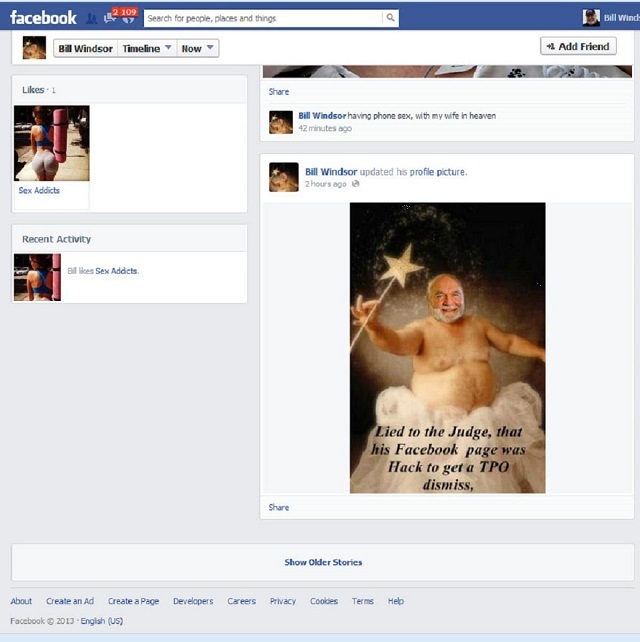 This is a Facebook page set up in the name of Bill Windsor. 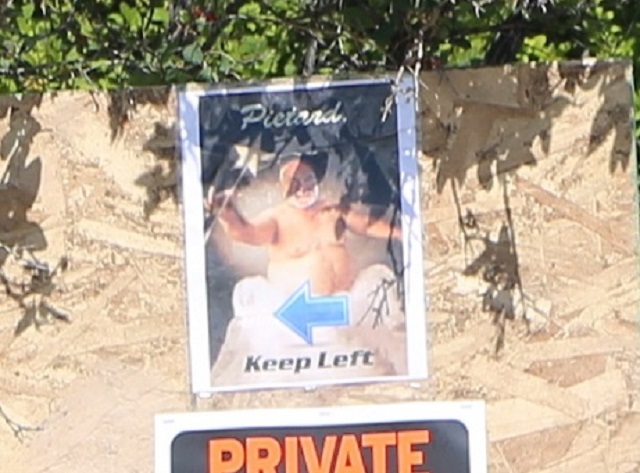 Notice the lovely photo. 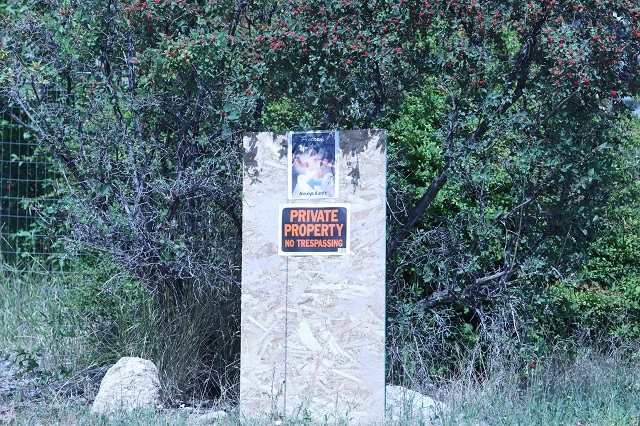 This is Sean Boushie's front yard on August 6, 2013 when I drove by on the public road and snapped a few photos for the movie. My visit was announced, and I discussed with the Ravalli County Sheriff's Department that I would stay in my vehicle and remain on public property. Now, the police have wanted to say that it could have been Crystal Cox or me who did these things. Ridiculous. It seems to me that the sign in Sean Boushie's front yard makes it mighty clear that he was doing the things that I accused him of. Image copyright Dreamstime, photos copyright Friends of Bill Windsor.